The Times also slams Trump’s focus on his “Hire American” immigration policy, but it did not follow the money that would explain the huge political gaps between the nation’s swing-voters and the establishment’s cadre of wealthy, investment-maximizing donors. Democrats passed President Barack Obama’s Obamacare plan in 2010. Democrats and Republicans — including a young Paul Ryan — have jointly used immigration to divert jobs and wages away from American voters since at least 1990. Ryan has served in Congress since 1999, giving him 18 years to devise and pass popular, pro-American reforms before the 2018 election year. 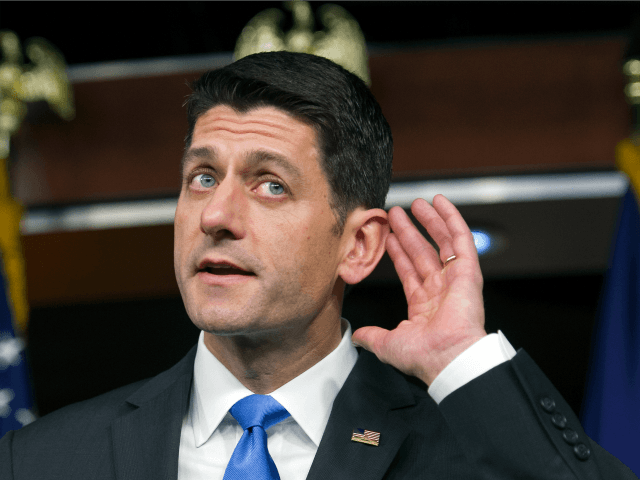 Once he retires, Ryan is widely expected to take a well-paid job in the financial industry.